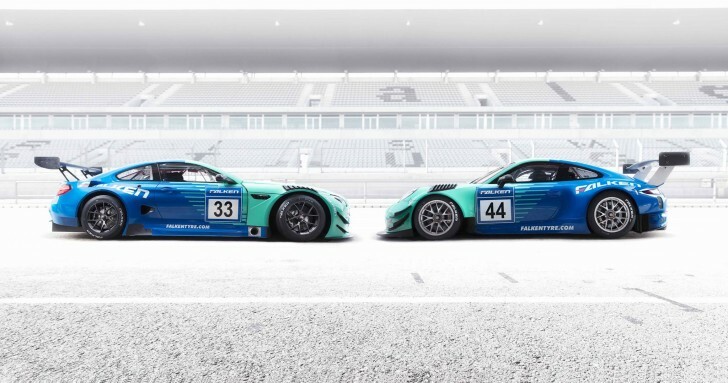 In the new racing season, Falken will line up on the grid with not one, but two racing cars from premium German manufacturers. Last year saw the debut of the Falken Porsche 911 GT3 R (Type 991), which simultaneously scooped the title of fastest Porsche in the 24h-Race on Nürburgring and ended up in ninth place overall. This season it will be joined by team-mate Falken BMW M6 GT3 – the first time the tyre manufacturer has fielded two vehicles in motorsports challenges. Falken will enter both cars in various VLN endurance races as well as the legendary 24h-Race on Nürburgring. The situation of a team competing with two different but current GT3 vehicle marques is unusual, but serves to confirm the depth of experience of Falken’s tyre engineers and the wide-ranging performance of the tyres. Falken’s long-term partner, Schnabl Engineering, will supervise and support the two vehicles throughout the season.